« Red Mars on TV! 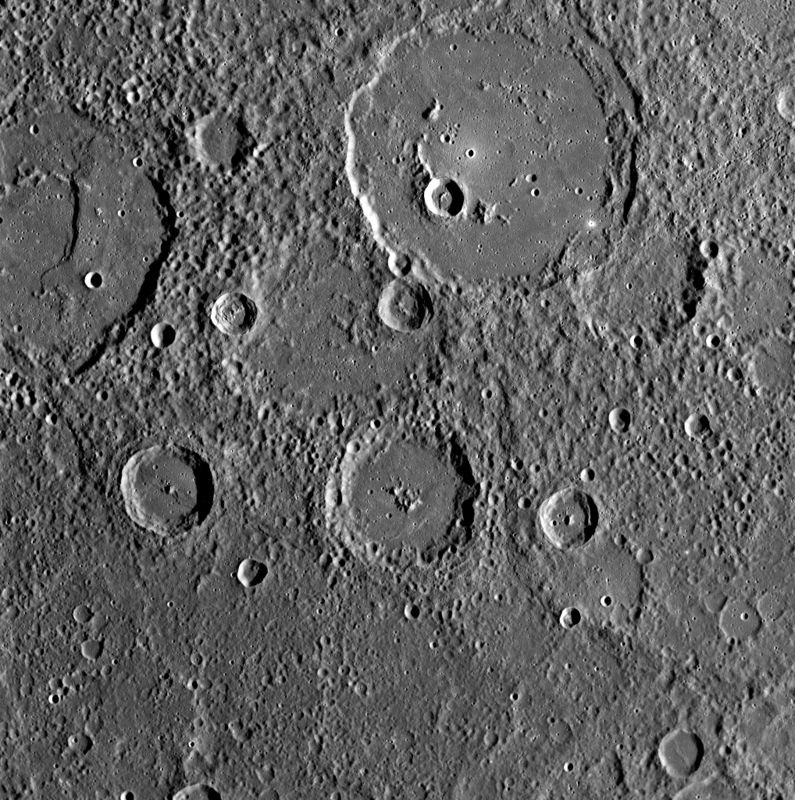 The first close-up images from MESSENGER’s second Mercury flyby were posted today and they’re spectacular! Here’s a link to the images, and a nice summary over at Bad Astronomy. The most striking thing about this first image is the totally awesome planet encircling ejecta rays! These are formed in large impacts when the debris gets blasted out of the crater in coherent jets. Rays are common, expecially on airless bodies, but these ones are much more impressive than most. On the moon, only the youngest craters have bright rays, so it would make sense that the rayed craters we see here are young too. Over time the rays fade because the bright, crushed rock is weathered by the solar wind, and darkens as microscopic iron particles form. 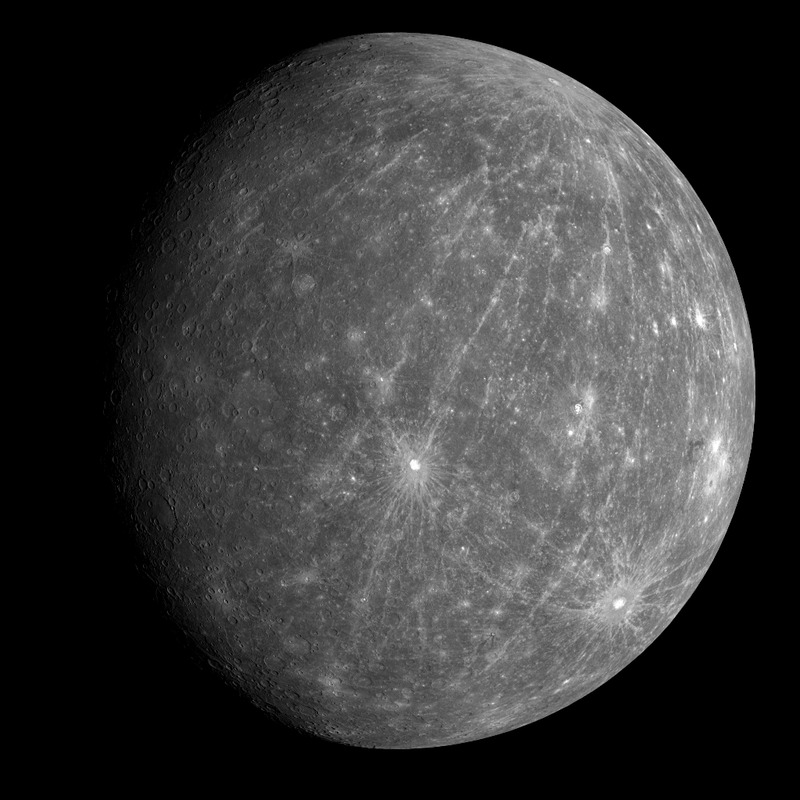 In this second image, you can see that Mercury’s surface is a big mess of craters on top of craters. This means that it is very very old: random impacts have been pummeling it for so long that every location on the surface has been hit. I can see at least two small craters in this image that look like they have bright stuff around them. These are probably younger, smaller versions of the monstrous crater and its rays that you can see in the first image. Best of all, these pictures show parts of Mercury’s surface that have never been seen before. Ever. By anyone. Anywhere. This is one of the last times we’ll be able to say that about a planet. Of course, there are always the dwarf planets, two of which will be visited by DAWN and one will be visited by New Horizons. This entry was posted on October 7, 2008 at 8:05 pm and is filed under NASA, Not Mars, Pictures. You can subscribe via RSS 2.0 feed to this post's comments. Both comments and pings are currently closed.